Do you need help teaching your children to read? Are you a Classical Conversations mom who needs a boost using Spell to Write and Read? 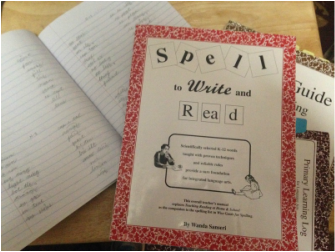 Spell to Write and Read is a popular language arts curriculum used by homeschoolers and Classical Christian Schools. A systematic approach backed by research, the SWR program can be a powerful resource for teaching your children to read. Learning from someone who has experience in the curriculum can be a key to your success with the program. Sandy Cannon who has helped many families with this program over the last ten years will share her expertise in this 3-hour workshop. Bring all SWR materials you own, note taking materials, and a red pencil.